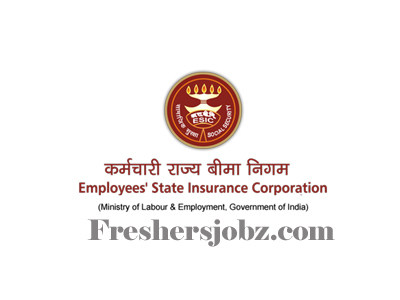 ESIC Notification 2018.Employees' State Insurance Corporation (ESIC) has released a notification for the recruitment of Part-Time/ Full-Time Specialist, Senior Resident vacancies.Check the eligiblity and notification prior to apply for the positions. Age: Not exceeding 45 Years As on the day of the interview. 1. Emoluments:- Basic Pay:- Rs. 18750+Grade pay 6600/- for PG Degree Borders (It would be reduced by Rs. 600/-PM for Diploma Holders and the same will be reduced by Rs. 1210/-PM for non PG Candidates Plus allowances as admissible from time to time. No transport allowance is admissible. Remuneration is Under revision upon implementation of 7th CPC. Medical Superintendent, Village: Katha, Opposite Gillette Factory, Baddi, H.P. 2. No TA/DA will be paid to the candidates for appearing in the interview. ESI Corporation may increase or decrease or cancel filling up of any or all thé post without assigning any reasons at Ibe discretion of the Appointing Authority.